Take a call. Make a call. Manage Voicemail. Contact us today to get a FREE trial! Show a presentation, brainstorm, discuss. Edit documents, check figures, grab a coffee. Ask colleagues to drop in, call a customer, make decisions, share the minutes. Collaborate in the cloud. Circuit adds simple-to-use, powerful team collaboration capabilities on top of your existing communications and business apps. Circuit runs on top of any SIP telephony infrastructure, with users able to take a call, make a call and manage voicemail through its inbuilt telephony connector. One virtual meeting space with all the capabilities you need to communicate with your teams. Enjoy the same experience from any device. Access your conversations, communities, and documents online wherever you are. Turn any space into an instant HD video conferencing room with the powerful, easy-to-use Meeting Room solution. Integrate your workflow and productivity applications with the Circuit API. Use voice, video, or chat. Circuit’s simplicity lets you collaborate as naturally when you’re remote as when you’re together. All content is easy to find. Search and filter by search terms and people and find what you need in seconds. Stop sharing confidential data on public social networks, using file sharing sites, or paying for audio and video conference calls. Create online communities and promote cooperation, interaction, opinion and idea sharing across your business. Have a great idea and want to share it? Sketch out your idea, share your screen, discuss, make decisions. In real time. Have a problem that needs a team response? See who’s online and invite them to an instant conference. Need external experts? They can join too. No plugins required. On a conference and should be catching a train? Swipe the Circuit call to your mobile device. Pull it back to your laptop when you’re in your seat, or get where you’re going. Need files and data from elsewhere? Get access to Box, Google Drive and hundreds of business and personal productivity apps straight from Circuit. Want to be social without the security risk? Share, download, chat and invite others into the conversation. Circuit is a ‘company-run’ social sharing app that’s built for business. Missed a meeting and need to catch up? Listen to the recorded sessions, download the documents and see everyone’s comments. Don’t miss a thing with Circuit. Circuit is your digital workspace in the cloud. 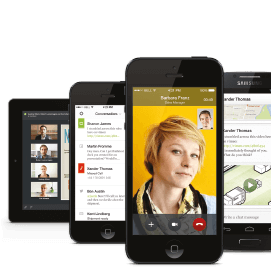 For the first time, everything’s in one place: audio calls, video conferences, messaging, screen and file sharing. No flicking between apps or remembering multiple passwords. Everything’s shareable, downloadable and auditable. Implementation is lightning quick and integration delightfully simple. And with low-cost per-user packages, Circuit gives you the operational and financial flexibility your business needs. 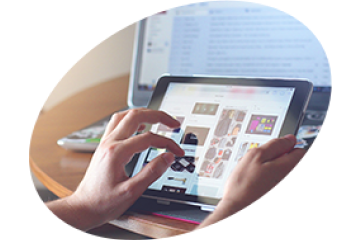 Integrate your web-based processes to add a whole new level of collaboration and communication. Add extensions to make Circuit your gateway to hundreds of business apps. Or go further. Integrate Circuit with your IoT supply chain, logistics or stock management systems. Call 01226 704 610 to speak to a member of our team to arrange your Free 30 day trail of Circuit.